Welcome to Global Shepherd Students! Global Shepherd Students is an organization and resource that will always advocate for international students. We thrive only when our students thrive! We provide international and local students, as well as members of the community, with the opportunity to participate in different multicultural and educational programs regarding the international and local community. 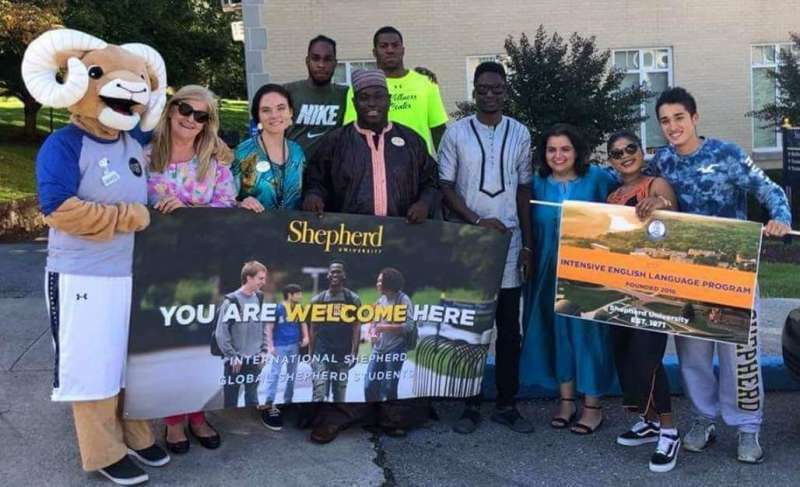 We are a voice for minority students here at Shepherd University: we help all students from many different backgrounds and nationalities integrate and adjust to a new environment. We welcome any enthusiastic and dedicated student- international or local- to join us. If you have a positive attitude and engaging spirit, please join us! Contact Dr. Lois Jarman or Henry Navarrete Mendez for more information.